Bucket List Item #3 – Tick! The third item on my bucket list is something I have been wanting to do for a long time, get a tattoo. As someone who is notorious for changing their mind, this was quite a scary concept. After years of deliberating I finally decided what tattoo I wanted and booked myself in. 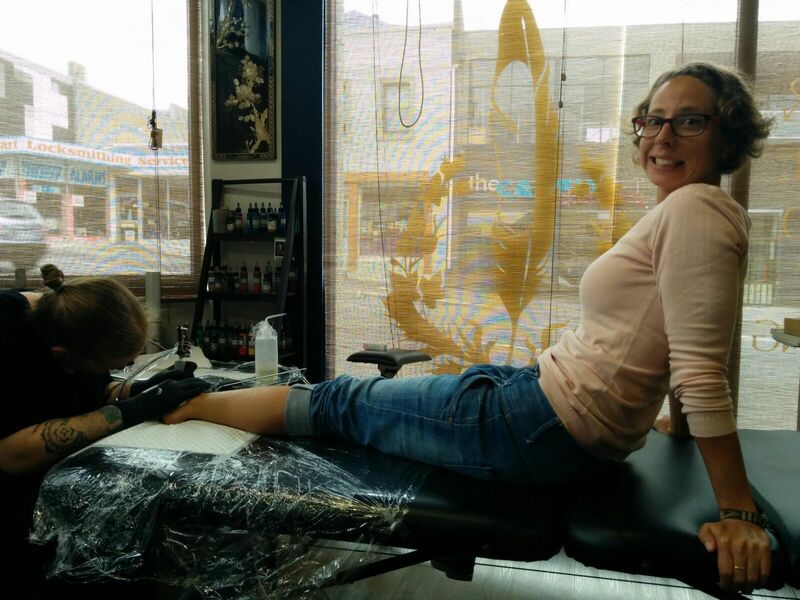 Liz at Maid & Magpie was brilliant, provided fantastic support in deciding the finer details of the tattoo and then getting on with it in a very professional and friendly manner. The tattoo I decided on is something that will be meaningful to me for my entire life, the GPS coordinates of my childhood home. It acknowledges where I have come from and that no matter where in the world I choose to be, it is still my home. Completed Tattoo after its first clean.